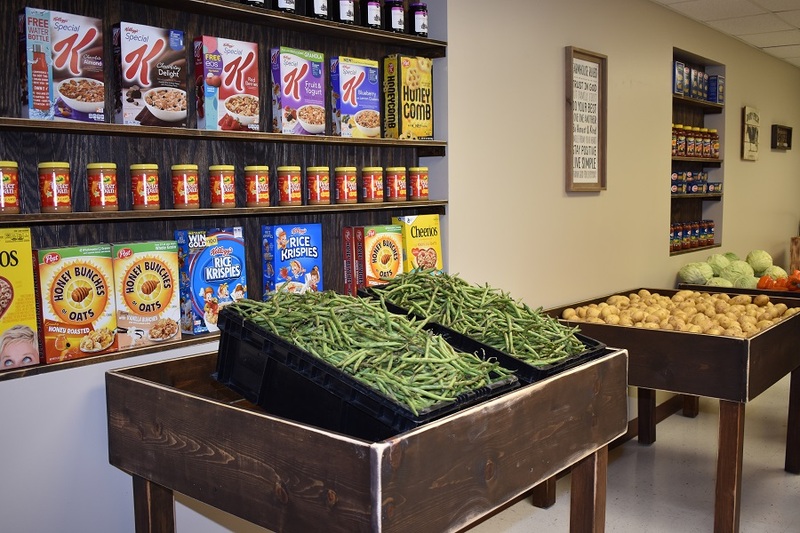 A new farmer’s market style pantry full of fresh food and faith is now blessed at Holy Spirit Parish in Lake Wales, Polk County. Catholic Charities of Central Florida worked closely with Dorothy’s corner to establish the new Agape Mission Market. 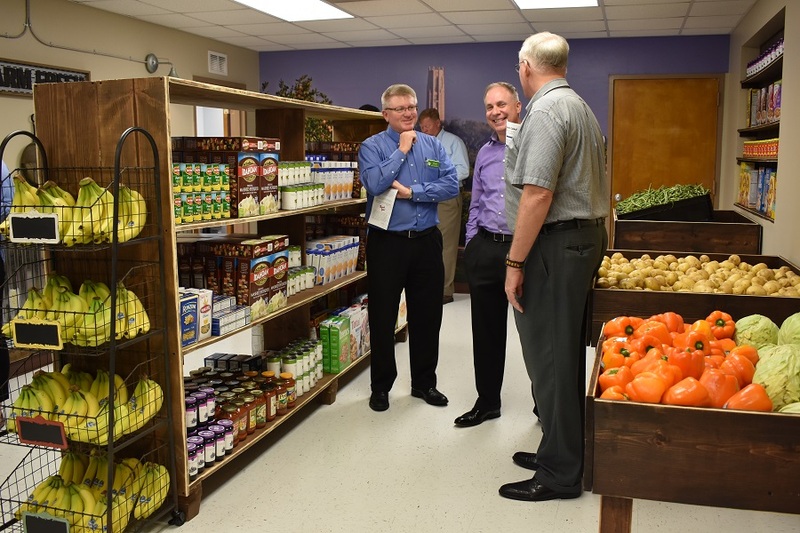 The Agape Mission Market allows clients to choose food they want rather than getting bag of groceries “that you may or may not like, that you may or not want, that your kids may or may not eat,” explained executive director of Catholic Charities of Central Florida, Gary Tester. The choice pantry team serves while reminding each client of their innate dignity. Dorothy’s Corner began in 2007 as the brainchild of the middle school youth group at Holy Spirit Parish. After studying Catholic social teaching and Dorothy Day’s work with the poor, the group wanted to serve their local community as Day did with the Catholic Worker Movement during the Great Depression. Dorothy’s Corner began serving six families on Friday evenings and now serves more than 60, according to Sharon Olson who has run the pantry and clothing center with her husband, Jeff, for the past three years. Jeff points out, “…the heroes of Dorothy’s Corner have been our parishioners, from ages 5 to 85. Over three years, they have donated over $120,000 worth of food. Until recently, we have had very little food from food banks. Those donations came from Thanksgiving and Easter food drives that surrounded the altar with a sea of bags for blessings and from anonymous ‘angels’ or Sunday school children who did chores to earn money for food. That is an astounding amount of money for that amount of time from often modest household incomes.” He also noted the generous support of their local Knights of Columbus. Bethany McBride, Catholic Charities of Central Florida program coordinator, added, “I know it was providential that our first market is at Holy Spirit Parish because I feel it is the Holy Spirit that led us here.” She pointed to the desire to integrate a “spiritual aspect into this market” by providing prayer cards that share Dorothy Day’s story and provide Mass time information as well. “Our old model was that you could come to us and we could serve you there,” said Tester, noting the distance many in need used to travel. “Our new model is, you have ministries here at Holy Spirit and in the surrounding communities, so we are happy to be here, serving beside you and that means the world to us.” Tester told those present to be on the lookout for the next Mobile Senior Center which he hopes will open at the same location. Agape Mission Market with Dorothy’s Corner at Holy Spirit Catholic Church will be open Tuesday and Thursday from 9-11 a.m., and 1-3 p.m., as well as Friday evenings from 6-7 p.m.